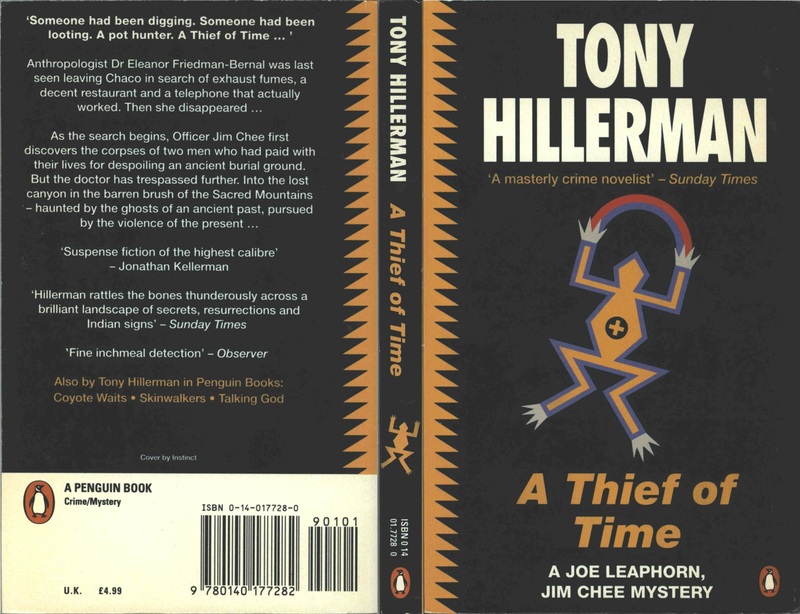 Full and detailed views of the third British paperback edition of Tony Hillerman's A Thief of Time. 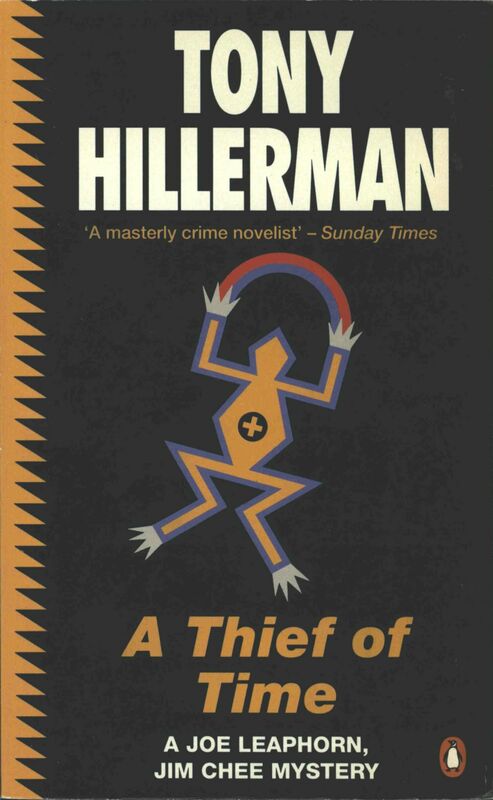 This edition was published by Penguin Books in London, England in 1993. Design and Photography Credits: The cover is credited to Instinct and the cover is black with a sand painting stylized frog with a rainbow emanating from its front limbs and an orange zig-zag pattern on the left border.